We’re delighted to announce our latest client Bathrooms.com. The marketing strategy will concentrate on media relations, onsite content, PR SEO, social, event support, strategic counsel, and conference programmes. Led by Lexi Mills, Dynamo’s Head of Digital, we’ll be concentrate on increasing the brand visibility for Bathrooms.com with a focus on affordability and the importance of quality design. The move signals a wider industry trend, in which search campaigns are required to leverage PR as the lines between these two industries continues to blur. 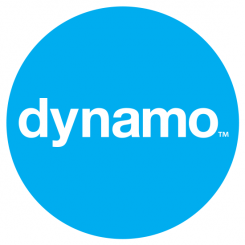 Dynamo, amongst other agencies, are seeing an increase in work from clients looking to build quality natural SEO links and citations, a response to the multiple updates Google has made to its algorithm over the last year, including Panda and Penguin which focus on prioritising quality content sites, alongside the increasing requirement to incorporate Author Rank.